When the Coalition re-booted in 2011 and began policy work in 2012, there was a pervasive feeling among members that working on restoration of the 2005 cut of Medicaid adult dental benefits would be an extremely difficult project and should be left until the organization had some policy experience under its belt. While the Coalition continued to work on all of the other identified priority goals – filling the state dental director position vacant since 2003, identifying legislative oral health champions and starting an oral health caucus, to name a few – Coalition leadership and members soon learned that many legislators understood the intense need for dental care. This was especially clear to legislators from rural areas of the state, where access to dental care is particularly difficult (several counties lack a single practicing dentist). The Coalition reassessed and quickly picked up working on adult dental benefit reinstatement in Medicaid as a priority issue. A study requested by the Coalition and published by the Missouri Department of Health and Senior Services showed that millions of dollars were being wasted in Emergency Departments (EDs) around the state on non-traumatic dental conditions. 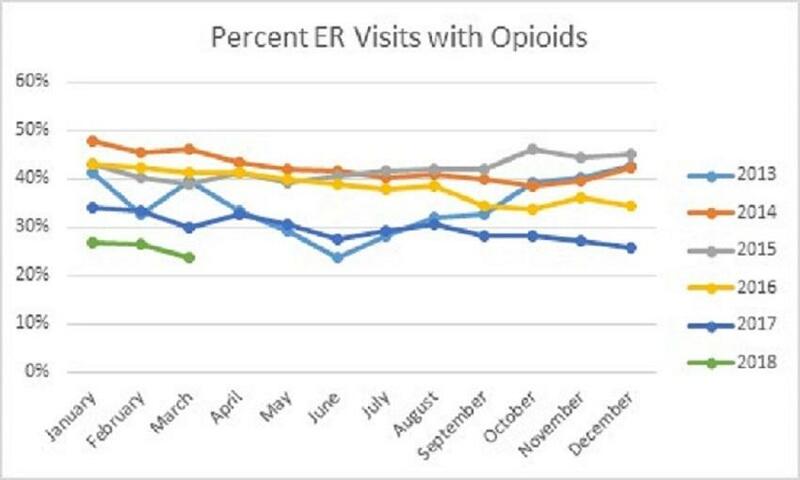 While providing no actual dental care EDs attempted to alleviated the pain of untreated dental conditions with antibiotics and painkillers, including frequently prescribing opioids. The study also showed that a small set of people required inpatient hospitalization, an even more expensive prospect. Much of this expense could have been avoided by providing basic dental preventive and treatment care. Missouri legislators were impressed with the story the data told about the inefficiencies of the Missouri Medicaid system. Over the course of the 2014 session the legislature included funding for reinstatement of Medicaid adult dental benefits in the budget, coming back in the 2015 session to again add funding after Gov. Nixon refused to implement the benefits due to low projected state revenues. Since implementation in May of 2016, data has become available that shows the impact of this significant policy change that covers dental care for around 350,000 Medicaid-eligible Missouri adults. Benefits include exams, X-rays, cleanings, fillings and extractions. 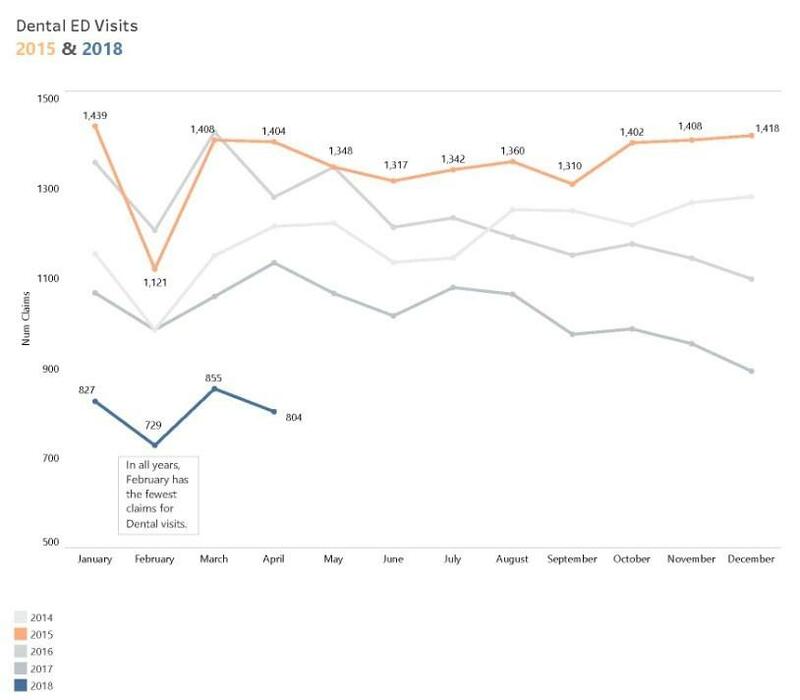 State data shows that Adult Medicaid benefits in Missouri are substantially reducing the number of claims submitted for nontraumatic dental services in EDs. In January 2015 state claims data shows 1,439 nontraumatic emergency department dental visits. In January of 2018, that number drops to 827. A similar pattern of continually reducing claims is projected forward through April of 2018, the most recent month for which data is available. The Missouri Coalition for Oral Health worked closely with member organizations to push for this significant policy change that many previously suggested was simply not possible in the Missouri context. Key partner agencies that worked diligently on this include the Missouri Dental Association and the Missouri Primary Care Association. Many other organizations assisted, including the Missouri Dental Hygiene Association and the Coalition for Community Behavioral Healthcare. “We all played key parts in working together to move this forward and increase access to dental care,” said Coalition Executive Director, Gary Harbison. “This is a great example of the impact of truly collaborative advocacy,” he added. As adult dental benefit data is made available, a pattern becomes clear. Reinstatement has increased access to dental care, reduced the use of EDs for non-traumatic dental conditions and reduced opioid prescriptions by EDs, all of which signal a more efficient and prudent Medicaid system. And a reduction in opioid prescriptions must surely lead to a reduction in dependency. “The Coalition has led members and partners, including legislators, in raising awareness of the importance of accessible dental care to the economic health and well-being of the state,” noted Harbison. While access is still challenging in many areas of the state, the restoration of a limited adult dental benefit package in Missouri Medicaid is clearly demonstrating that thoughtfully selected policy change can increase efficiency while simultaneously increasing health care access.